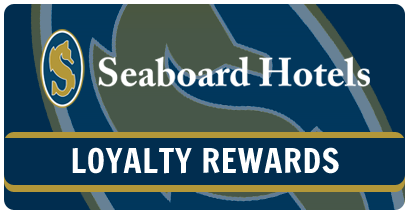 Posted March 13, 2018 & filed under Events in Dewey Beach DE, Things to do in Dewey Beach DE. Would you identify yourself as a dog person? Do you like spending time at the beach? Do you happen to own a golden retriever or have a soft spot for the breed? If any of these apply to you, you might be interested in an event that’s coming to Dewey Beach, Delaware this May! 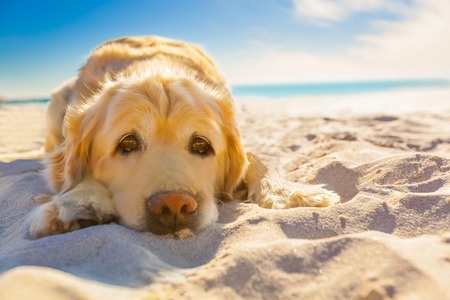 What is the use in spending a weekend at the beach if you can’t bring your furry friend? On Dewey Beach, dogs are allowed on the beach year-round by special license. From May 15 to September 15, dogs are only allowed on the beach before 9:30 am and after 5:30 pm. During the off-season, dogs can be off-leash, but must be under your control and be cleaned up after. However, the time is coming when all golden retrievers are welcome on the beach to play in the sand and sun, and what a fun weekend it is! The weekend of May 11th through May 13th will be a weekend full of golden retrievers down at Dewey Beach: Dewey’s Golden Jubilee! The Golden Jubilee weekend here in Dewey Beach only happens twice per year, once in May and once in Fall. In previous years, close to 150 golden retrievers spent the weekend on the beach, chasing tennis balls and Frisbees, learning to swim in the surf, and making friends with one another. There are fun activities planned for humans and for pups, including hikes and a bonfire, all revolving around enjoying some fun-in-the-sun with our four-legged best friend on Dewey’s dog-friendly beaches. Proceeds from this event will go to the Golden Retriever Lifetime Study, which is dedicated to preventing illnesses, such as cancer, in dogs. Coming to Dewey Beach for an vent this summer? The Atlantic View beach-front hotel is the perfect spot to spend a weekend, taking a break from everyday life and soaking up some sun.